Penelope Lively is a beloved British writer of fiction, and children’s literature, with the Man Booker prize and numerous awards piled up for her 80 years of production. Lively was born in Egypt where her father was posted. An only child, she later faced a lonely boarding school in England. 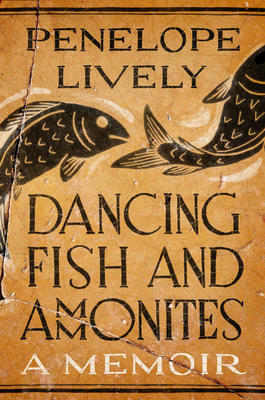 Very early on she had and interest in archaeology, and her title refers to fossils picked up on a beach in Dorset. She turned to writing however and this book tells of the events “by which she felt most fingered,” i.e. the Suez Crisis, the Cold War, the seismic change in attitudes of the late 20th Century. She includes her happy marriage, her children, and finally her turning to books and reading for companionship. The end of the book tells us of six objects she had picked up and kept by her as a part of her history. She lives in London.